Katniss Everdeen: most fashionable movie bride ever? Fans of "The Hunger Games" will know that (SPOILER ALERT) Katniss plans a fake engagement with her "Hunger Games" co-winner Peeta, so we're guessing this is a part of that charade. 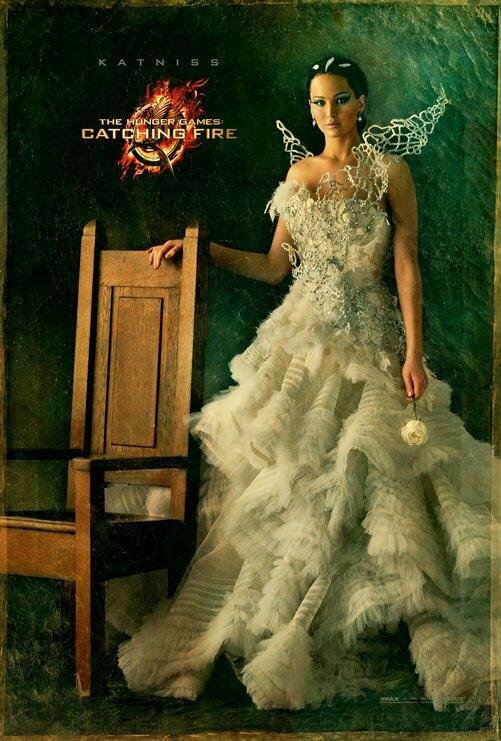 "Catching Fire" opens November 22. Click through the slideshow below to see some unique wedding dresses from Etsy.